AFYDAD, Spanish Sport Industry Association, is a national trade association representing all the sports sub-sectors within the Sports Industry. The association is a professional non-profit organisation, focused on all companies, including: manufacturers, distributors and wholesalers dedicated to all sports, equipment and apparel. AFYDAD is an active member of FESI, the Federation of the European Sporting Goods Industry, enabling us to stay abreast of the latest news and to influence any laws and regulations created within the EU in relation to the sporting goods industry. Also, AFYDAD is member of the EOG, the European Outdoor Group. Airtrade is one of leading, well-established travel agencies concentrating on managing tours in accordance with exhibitions; consisting of airfare ticketing, transportation reservation service, lodging, visa obtaining, and provision. With over 20 years of experience, Airtrade have provided its profession in the field of Exhibitors' journey; making our service aligned to meet business tourists' need. 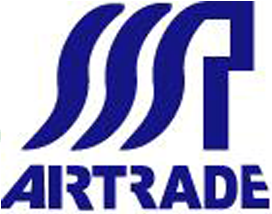 Airtrade's largest national fair is held in Europe, followed by the U.S., Russia, Asia, Mid-East, China, and South Africa. Our business supports 150 events annually, amounting to 8,000 members, through dozens of industries such as IT, electricity, Housewares, hardware, machinery, textile, medicine, giveaway, auto parts, and eatables. Our Alliance is included, ACE, AIT Commercial Sec., CGN Messe, CTPA, DUS Messe, FRA Messe, Golden Seal, HAJ Messe, LABC, NUE Messe, PERFORMANCE DAYS, TAITRA, TAMI, TBEA, TCMA, TEEMA, Today, TSMA, TTF, Wesexpo, Wheel Giant, ...... and the forth. Brandwave is an award winning, full-service marketing agency specialising in the sports market. With offices in the UK and Germany, we deliver work on a global scale with some of the most successful brands in the industry, our motivation is our genuine passion for sport and the outdoors. Inspired by our shared interests, we work closely with our clients to create effective and unforgettable campaigns, which can be seen all over the world. With our vast in-house expertise we provide full creative, digital and strategic services to our clients, from ingredient brands to apparel and hardware brands. Our services include; inventing and delivering advertising and experiential campaigns, to creating content, websites and movies, and devising and implementing global consultancy projects. Whatever the project we’re working on we pride ourselves on our experience, reliability, and proven ability to consistently push the boundaries of sports marketing. The dialogue Textile Garments was established in 1985 at the home of Willy Bogner, Munich. Companies from the entire textile chain come together in working groups to handle questions and problems and create solutions. In the chain of textile and clothing industries are the core tasks of the DTB on issues of improving the quality of the products, the requirements on environment and sustainability, information exchange and cooperation between the partners in the textile and clothing industry and trade. Currently, the DTB has 192 members from 7 European countries. In our projects related to product safety in the development phase, the area is being processed functional textiles. The DTB is in cooperation with CHT Beitlich publisher of the brochure coated materials and is currently working with the Hohenstein Institutes,a set of requirements for functional textiles. With a history of over a hundred years of creating and making, Falmouth University is now an innovation hub located in Cornwall. Over 5500 students from all over the world study with Falmouth, from undergraduate to PhD. Falmouth offers an exciting course portfolio that encompasses the full range of the creative industries, from art and design, to fashion, film and photography, as well as games, the performing arts, writing and business. Taught by passionate, industry-connected staff in professional standard facilities, Falmouth provides its students with a world-class education that will equip them with the skills they need to make an impact when they graduate. As well as the courses that are delivered on-campus, Falmouth also provides ground-breaking online distance learning and exciting partnerships with industry-leading bodies including the Academy of Contemporary Music and the Fashion Retail Academy. We’re proud that Falmouth was awarded gold in the teaching excellence framework, is ranked 6th in the UK for student experience and is in the top 30 universities in the Times Higher Education table of tables. Established in 2001, FashionJobs.com is the leading recruitment website for fashion, luxury and beauty professionals. 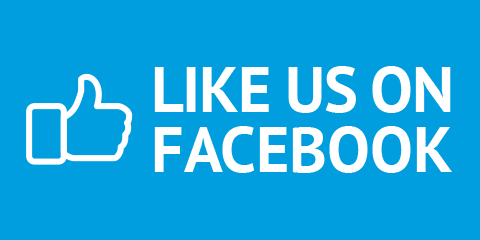 The website has over 3 million visitors per month and is active in over 70 markets. FashionJobs.com corresponds to a need for a specialized job search platform for fashion professionals and it has been able to effectively deliver over 15,000 monthly job postings worldwide. The site has longstanding partnerships with all the major fashion, luxury and beauty brands as well as small emerging labels and top recruitment agencies. The jobs also appear in the FashionNetwork.com daily business newsletter for fashion professionals (more than 750,000 professionals subscribed worldwide). From Portugal is an internationalization project from Associação Selectiva Moda. Our purpose is to promote national entreprises’ competitiveness, undertake a permanent search for new markets and new clients, to promote systematically the internationalization level of textile industry, stimulate the companies to seek the opportunities resulting from their participation in national and international events, create attractive conditions for portuguese companies to bring out new products, improve the image of textile and portuguese Fashion in the international scene and to promote Portugal’s image abroad, always in the prospect of linking ITV’s supply ability to quality, innovation and differentiation of products. The organized presence of portuguese companies in major events across several continents is essential to allow interaction regarding the needs of globalization. 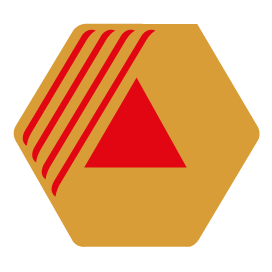 The Korea Federation of Textile Industries (KOFOTI) is the national federation of all textile-related industries, with 27 textile industrial associations. It is a non-profit organization whose main duty is supporting and promoting the development of Korean textile industries. KOFOTI was established in May 1975 to accelerate the modernization of the textile industry and enhance the international competitiveness of textile products, thereby contributing to the growth of the national economy as well as ensuring long-term development of the Korean textile industry. KOFOTI endeavors to keep up with the changing global textile industry and sets up various strategies to promote the development of the Korean textile industry. 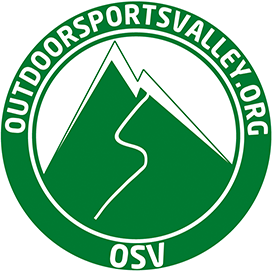 Outdoor Sports Valley refers to the outdoor sports industry area which covers the sweep of the Alps from Grenoble to Innsbruck. Whilst this region is not in actual fact a valley, the expression is used as a metonymy to represent the mountain outdoor sports and snow sports industry in general. Annecy, with its 2018 Winter Olympics bid, its fantastic geographic location and its high density of businesses is the natural capital of the European outdoor sports area. The Outdoor Sports Valley is defined by its economic activity, consequently its boundaries are imprecise and constantly evolving. The expression does not describe an administrative entity, but rather a region where tens of thousands are employed in the sport and leisure industry, where the head offices of most of the companies in the sector are located and, above all, a playground which is the only one of its kind on earth. Sixt rent-a-car was founded in 1912 in Munich, Germany with a fleet of just three vehicles. As one of the first rental car companies in the world, and now with over 100 years in the business, we have earned a trusted reputation as a leading global rental car provider. Today we are present in over 100 countries with branches in more than 4000 locations. You will be able to find Sixt car rental in almost every major city and tourist destination worldwide at convenient locations such as airports, train stations, cruise ports and hotels. Improvement and innovation is far more important than tradition. Therefore, in addition to our core car rental business we’ve extended our services to include leasing, fleet management and limousines. Plus, we are excited to offer intelligent innovative concepts such as Drive-Now, our joint car sharing concept with BMW, or mydriver, a professional chauffeur and taxi service. All of this is supported by Sixt developed technologies. By changing the world for tomorrow, the future becomes alive today. We do this because we love our work and our customers, and this is the only tradition we feel bound to. sportsella is the only totally independent, multi-brand portal coaching retailers of sport products in the german-speaking internet and is unique in the sports industry world wide. Top brands in the industry appoint sportsella.com to produce and distribute online-coaching sessions. sportsella addresses exclusively the sales staff or the sports trade industry. Retailers can register, free of charge, to participate in an online-training and also win prizes. The training units are produced by industry experts in close cooperation with the manufacturer's product managers. These days off the job training is part of our professional life! We believe in creative and enthusiastic learning and that's why we created the slogan “training and winning” with sportsella. Sales experts of the sports industry can train as often as the want, for as long as they want and in any place you want. All you need is a connection to the internet! The uniqueness of the e-training through our portal are not only the specialized sales trainings but the fact the user has to show his or her initiative and willingness to learn. Tengda Exhibition is the leading organization in China for the apparel & textile industry. With the background as Shanghai Textile Association, Tengda Exhibition is organizing its own trade fair & sourcing events in China, Japan, U.K., Spain and Turkey. Moreover it operates as organizator of the Chinese Pavilions to international trade fairs all over the world. The services include fair management, travel service, trade consultation, design consultation, etc. With the mission of always moving forward to offer better services to the industry - Tengda Exhibition is your partner in China. Sportswear Inc. is an educational online platform helping you start up and run a sportswear brand. We have a passion for sportswear and technical apparel and we share our experience and knowledge with you about product design & development, branding, entrepreneurship, sourcing, merchandising, product sustainability implementation, concept and sales presentation. Sportswear Inc. works with entrepreneurs & apparel brands around the globe from idea to market launch. Our services include free knowledge base access, one-on-one coaching, and a membership program accelerator. The Natural Step, a global network of non-profit organisations with Swedish roots, is a highly respected provider of science-based sustainable development, innovation and education programmes. Since its inception in Stockholm in 1989, The Natural Step’s science-based framework has been successfully employed in thousands of forward-thinking organisations around the world. Based on a systems thinking approach, it interconnects the various dimensions of the sustainability challenge that affects everyone, everywhere. The Natural Step Germany is located in Planegg near Munich and provides a wide range of professional services that empower organisations to develop intelligent sustainability strategies and business models. The German team around the founders Dirk Uhlemann and Rüdiger Röhrig closely cooperates with the other country offices, sharing the same vision and purpose: to make organisations fit for the future in increasingly complex times within the limits of our planet. In order to accelerate the necessary transformation especially in the economic environment, The Natural Step Germany has chosen Sustainable Growth Associates GmbH, a certified B Corporation (B Corp), as exclusive representative, licensee and consulting partner. The Natural Step’s international network has offices in 11 countries and numerous associates and ambassadors around the globe. 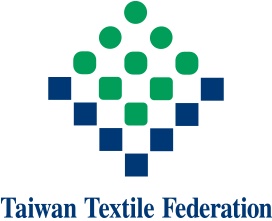 The Taiwan Textile Federation (TTF) was founded on November 25, 1975. Over the years, TTF has gradually adapted to meet the needs of the textile industry, expanding its functions to market promotion, product design, fashion information analysis, online information, technology training, collection and analysis of marketinformation,certification of functional textiles, publications of textile information, issuance of Certificate of Origin, and other textile-related services. TTF has acquired ISO 9001 certification from the British Standards Institution (BSI) for quality control systems, thus substantiating its competence to provide the best services for Taiwan textile industry. TTF will continue to serve Taiwan textile industry with active, aggressive, creative and enthusiastic attitudes, and assist Taiwan textile industry to make the most effective use of advanced knowledge and technology. TTF will also facilitate upgrading the product design, technical research, marketing, information exchange and management for the entire industry so as to bring a bright future to Taiwan textile industry. 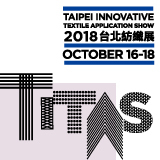 TTF organizes Taiwan textile businesses to participate in important international textile exhibitions and trade shows each year, held throughout Europe, America, Asia and the Pacific region in order to assist Taiwan's textile exporters promoting global textile markets.